I had wool left over from other projects so I started making hexagons using the wool I had but ran out of aqua so kindly asked hollymayb if I could raid her stash of wool to find a few other colours like blue, pink and yellow so none of hexagons would be the same. 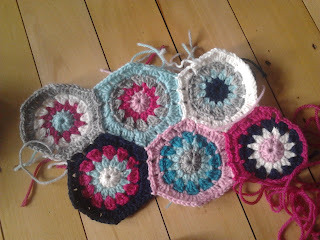 The longest part was stitching up all the ends for the 25 hexagons each with 4 colour changes! Hindsight tells me to crochet the ends in as you go. 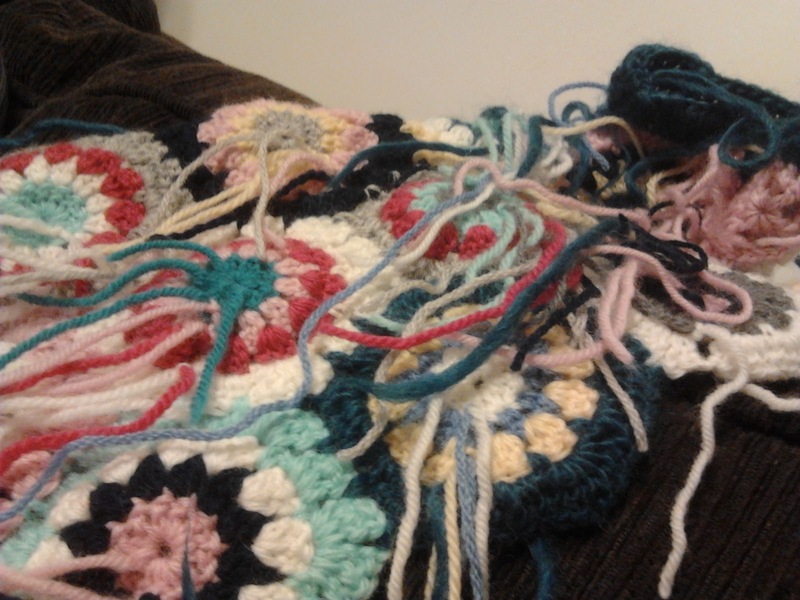 After not finding a pattern and asking a few fellow bloggers for ideas. I came up with my own pattern. 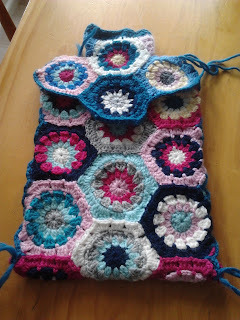 I plan on making a tutorial for my join as you go hexagon hot water bottle cover. Love it now its finished. 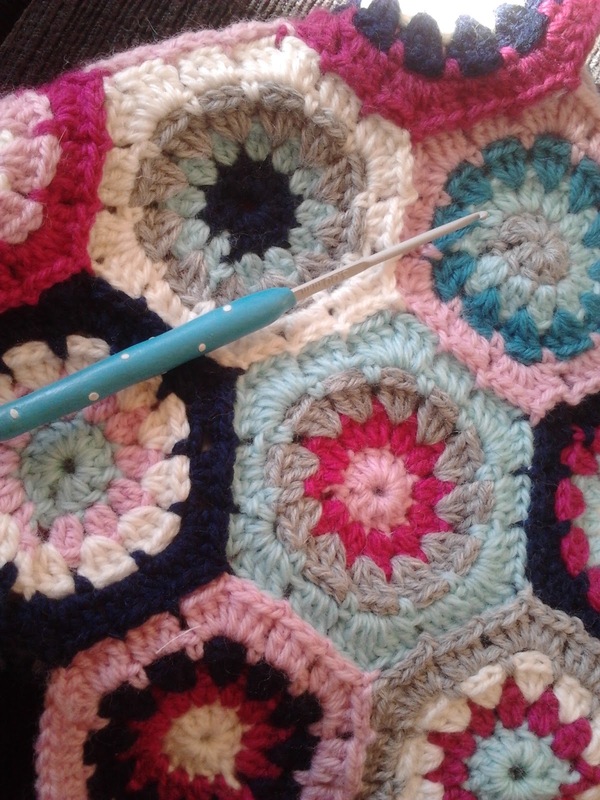 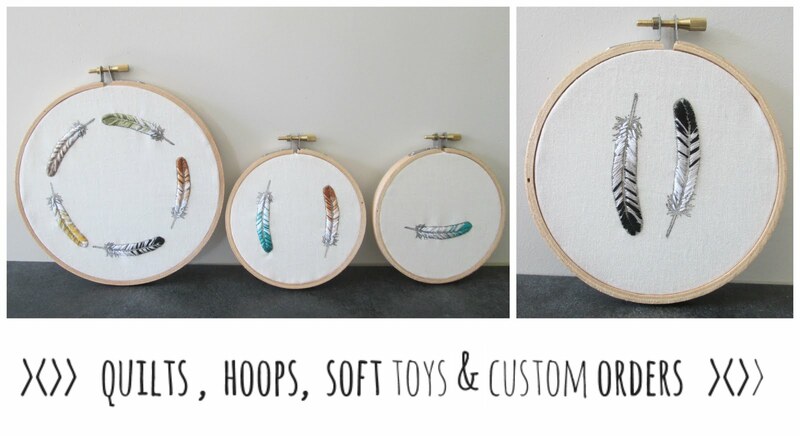 A perfect way to use up the wool that's not enough for a whole project.